You are already the leader of your school of fish and now it’s time to take on the entire tribe! With the latest tribal inspired jammers from Finz, you are going to be ready to lay claim to your rightful role as leader of the poolside tribe! 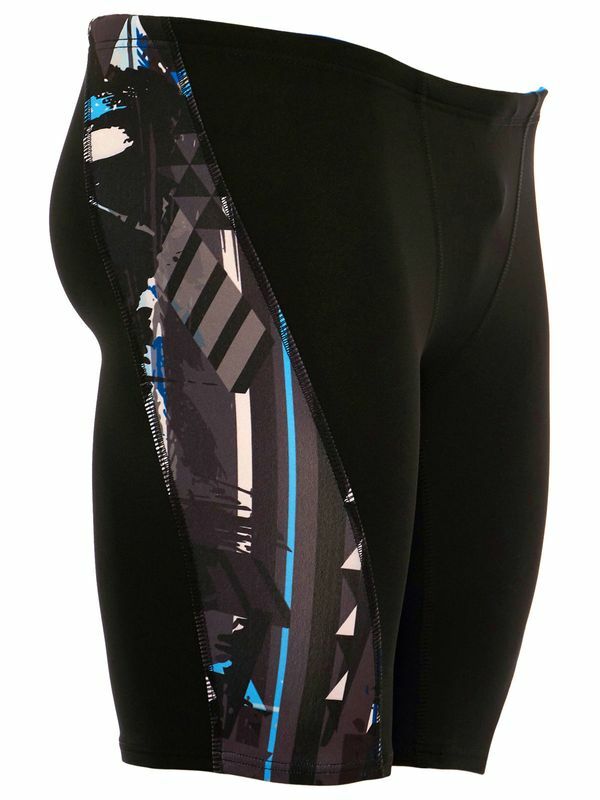 These midnight black jammers feature an on-trend geometric pattern in a mash-up of slate grey, azure, charcoal, and white running down the leg alongside an understate Finz logo at the hip. The only way to become the leader of the pack is in the Finz Tribe Leader Men’s Print Splice Jammer’s 100% PBT polyester Finz Aquashield fabric that are perfectly constructed for a flawless fit and endless durability.